This is a repost from the old forum. 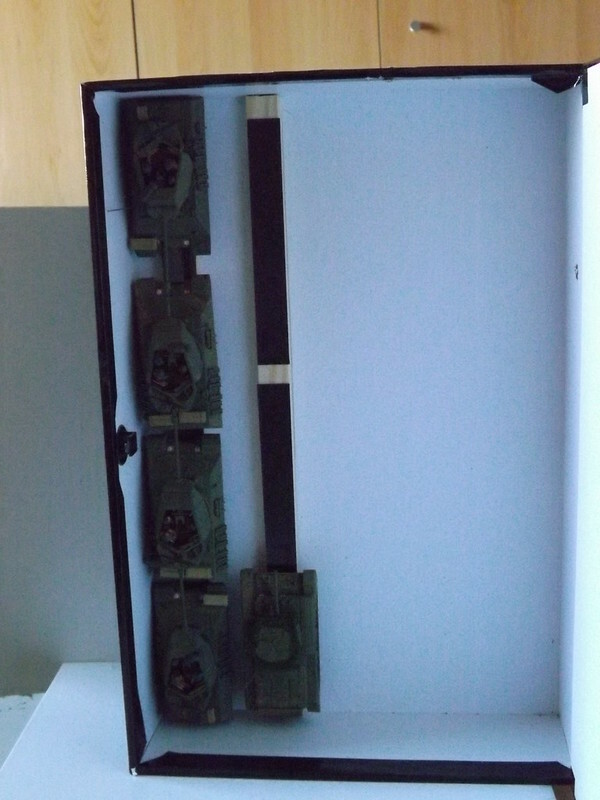 To transport wargame models I have developed this method for tracked vehicles. Smooth off all raised detail from the base of the model and stick on a strip of steel paper. I remember the post!! It's still a great idea!!!! 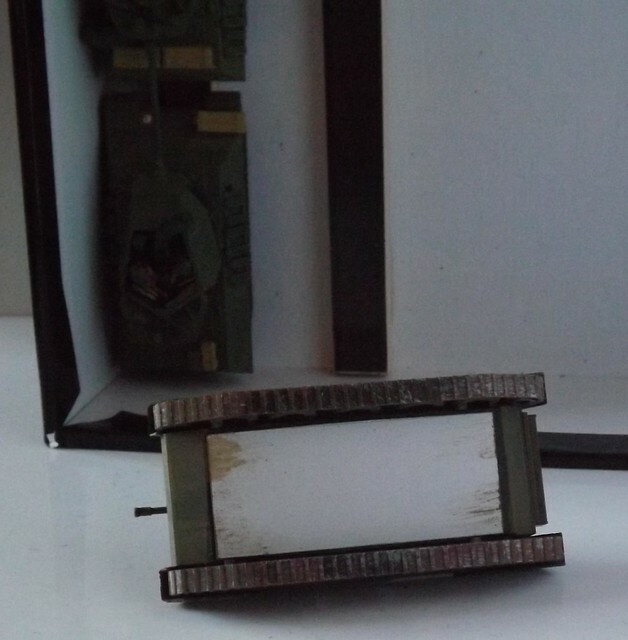 I notice that the 'Steel Paper' comes in green and sand colour at 0.35mm thick, I've never seen this material but do you think it could be used for other modelling purposes such as making schurzen, with a suitable frame attached, or is it to flimsy? The steel paper is strong enough for schurzen plates however if used for wargame models it will get bent with handling and won't spring back. In addition its edges and corners are quite sharp. It also has a self adhesive coating which would have to be removed.